Saturday Tweets: Vive la Revolution! Our world is burning down in front of our eyes, and too few are acting. It's all hands on deck time. We need to inspire our friends, neighbors, siblings, colleagues to act. We need to talk about what's happening. We need to become role models. We need to be the change. Great thread by @DoctorVive responding to that most subtle and nuanced of climate deniers, @BretStephensNYT. The Last Utopians: Four Late Nineteenth-Century Visionaries and Their Legacy. 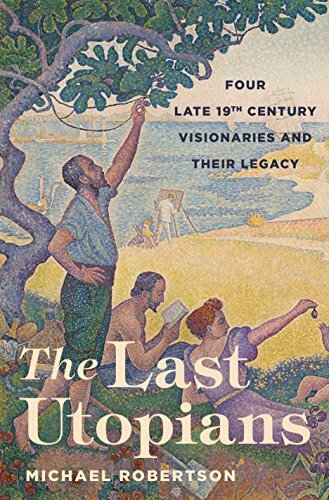 The Last Utopians delves into the biographies of four key figures–Edward Bellamy, William Morris, Edward Carpenter, and Charlotte Perkins Gilman—who lived during an extraordinary period of literary and social experimentation.